The system detects large packet support by just sending out packets as normal. In IPv6, if a packet is too large for a router to forward onwards to the destination server. Instead of fragmenting the large packet into smaller ones. It drops the packet and sends a "packet is too large" ICMP reply. To tell your system what MTU to use for just that connection. Even if your connection supports 1500MTU, there would probably be servers out there on the internet that are connected via tunnels or other connections that only support lower MTU values. So you would definitely have problems connecting to such servers if all of your packets are being dropped. And your computer is not getting the ICMP replies to tell it to use a lower MTU for connections to that server. The issue is with a specific combination of ONT (the one printed with "Type 200" by the Chorus logo, which also has a QR code) and a particular OLT Line card. ONTs without QR codes - the older generation ONT - are not affected at all. I can understand the frustration. The cause of the delay was a timing issue - we had to bundle it in with an already-planned OLT and ONT upgrade. It's not a trivial project to deliver, the testing alone takes months. This testing includes more IPv6 test cases now. It was also tricky to narrow down the impacted combination, which made no sense to us - it looked, initially, like an intermittent fault. The number of complaints were low - because IPv6. Was a head-scratcher for a while. I can't do much but apologise for the time (and money) it has cost you - so sorry about that. My offer still stands - anyone who wants to know if they are affected can PM me, and I'll personally check for you. RSPs should have been getting some comms about the upgrade plan/timing. I'll check on this and post in the other thread. @BMarquis, yes, that's correct (also acknowledged earlier in this thread). The reason I started this thread was to independently verify my configuration should work, which @michaelmurfy has done. So while we know there is an issue, we still aren't really any closer to understanding where that issue is. I am however now more confident it's not a PEBKAC issue at my end. Bigpipe and Voyager both seemed confident their ends were set up correctly, and the logs provided earlier in this thread by Voyager also suggest their configuration is correct. I have numbers printed on my ONTs to distinguish them. Perhaps I could send you those and you could look in to any changes that may have occurred around 25 August 2017? 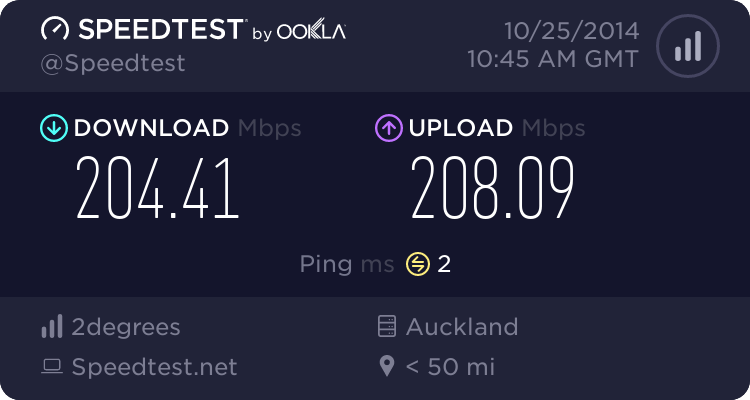 IPv6 connectivity was initially lost when I requested a speed change. I did change ONT with the switch to Voyager, so it would seem reasonable to be suspicious of any changes that occurred upstream around that time. There are no fixes for IPV6 in the new version of software for the older ONTs, so I don't think this is going to be fixed magically by the upgrade. While I don't know which BNG hardware Voyager use - their trace showing IPv6CP as "Opened" would probably indicate the BNG and your router have successfully negotiated their way through IPv6CP. so any issues are likely to be router or device related, rather then in our network. Happy to do some further analysis with you. 3) address autoconf ### eth0.10 vlan uses SLAAC to build IPv6 host address. No public IPv6 address when absent! @Tinkerisk, thank you for your suggestions. This was suggested by michaelmurfy for my ERL configuration and did not result in any change in behaviour. It's also part of my standard pfSense configuration. I've had this enabled previously following other IPv6 guides. I can confirm after testing again this morning, there is no change in behaviour. Unless I am mistaken, SLAAC should be the simplest configuration possible. Using SLAAC on the WAN shows no public address assignments on either the ERL or under pfSense. I currently have this value. Hmmm. I'm sure you have already taken into account to re-boot everything after changes since I found out that the ER is a little bit like a Diva when it comes to IPv6 (sometimes it really needs a shutdown power off - re-start). Could you solve it in the meantime? Packet captures show DHCPv6 solicit requests being sent, but no reply is logged. The issue is presently with @BMarquis (Chorus) who can hopefully establish where the requests or replies get to in the network. Im having the same problem getting IPV6 to work using UFB. The tech support are telling me that chorus have a problem with their cards. That is correct. The problem is only confirmed to occur with specific hardware. If you have a type 200 ONT (has a QR code on the front), it may be this issue. If not, all hope is not lost just yet - Chorus is continuing to investigate the issue I am experiencing with my configuration using the type 100 ONT. If you do have a type 100, it would helpful if you could reply with your router model and configuration details. I'm using a Huawei HG659 with voyager. my ONT is type 200. Thank you - brilliant show. The references to Concorde and the Channel Tunnel are dated, but otherwise it's as valid today as it was in 1979.